Me, changing out fact for fiction. Last week on Austenesque Reviews, I posted about finding what is likely a typo but looks as though the 3rd Earl Fitzwilliam and his wife waited until after their first born daughter was born to marry. I used it in part to inspire my Lady Catherine in No Cause to Repine. I’ve always been a fan of hunting history. I get sucked down research rabbit holes quite often. I’d like to imagine myself as the JAFF Indiana Jones, Ben Gates or even Robert Langdon. We’ll let the jury decide on that later. I thought I’d talk a bit more about the research I found while I was writing the book. Having already done some light research on the actual Earls Fitzwilliam, I chose to model my Lady Catherine’s husband off Thomas Dundas, 1st Baron Dundas. He married the 3rd Earl Fitzwilliam’s second daughter, Charlotte in 1764. 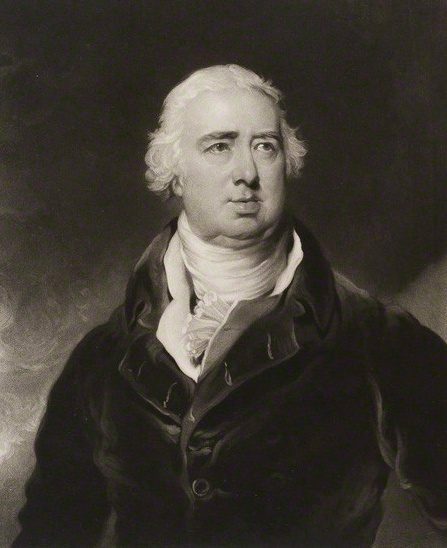 Lord Dundas was the only son of Sir Lawrence Dundas, 1st Baronet Dundas. The family’s wealth first came from supplying the British Army goods during the Jacobite wars and the Seven Years’ War. Then, Sir Lawrence invested in banking. He was a major backer of the Forth and Clyde Canal, which ran through his estate in Scotland. The nearby village of Falkirk became a prominent location for steel and iron industry. The canal, an important means of shipping goods before the railway, brought wealth to Falkirk. The family was very wealthy. Lawrence Dundas purchased Aske Hall near Richmond, North Yorkshire (not to be confused with the Richmond near London) in 1763. He immediately made improvements with the help of Capability Brown and John Carr. Then he purchased Moor Park in Hertfordshire. Moor Park’s grounds had just been renovated by Capability Brown in 1752, under the direction of then owner Admiral Lord Anon, but the visiting Horace Walpole shared a very Elizabeth Bennet-like opinion of the place, “I was not much struck with it, after all the miracles I had heard Brown had performed there. He has undulated the horizon in so many artificial molehills, that it is full as unnatural as if it was drawn with a rule and compasses.” Sir Lawrence also improved his London house with the designs of architect Robert Adam and furniture designer Thomas Chippendale. Thomas Dundas was elevated to Baron Dundas in 1794 and seems to have followed his father’s interest in canals and ship building. In 1800, he hired engineer William Symington to make improvements to his failed model of a steam powered ship. Despite successful tests, other investors worried about wave damaging the banks of the Canal. Symington made more improvements, this final model being named after one of Thomas’s daughters, Charlotte. A model was shown to the Duke of Bridgewater, and he was so delighted by the prospect that he ordered eight similar ships for his own canal (the Bridgewater Canal, where Symington’s earlier model failed). However, the Duke died shortly after this request was made, and nothing came of it. In 1803, The Charlotte Dundas completed successful trials in the Forth and Clyde Canal, with Lord Dundas and his family aboard it, but other investors still worried about bank corrosion and would not continue to fund the project. It left Symington quite out of pocket. For my story, of course, the surname is de Bourgh, not Dundas. I also kept Lady Catherine’s husband as a baronet, but I heavily borrowed from the Dundas family history of wealth and Lord Dundas’s interest in steamships. I also had Sir Lewis de Bourgh lose considerable money on the investment, not just the engineer. For a woman born under a scandal, to a wastrel of a father and as the progeny of an earl and marquess, Lady Catherine soon regretted her marriage to a mere baronet who offered her no financial security, thus creating the bitter and blind woman she became. The treasure room in National Treasure. They expected gold, it was history instead. Infinitely better. uggets, but I’ll save them for a later post on my blog. So, while I am not quite journeying to exotic lands and finding the Holy Grail a la Indiana Jones or even Robert Langdon, nor have I found priceless artifacts like the Scrolls of Alexandria like Ben Gates, I still think I’m a bit of a history hunter. And this story is much more interesting than the time I spent three hours and involved several other people trying to figure out how a second son inherited a title when the eldest son lived and was never declared insane, all for me to realize that my source did not list the off spring in chronological order, but rather by earliest known death date! Well, sometimes you lose the prize, and sometimes you win the prize. The prize for me is an actual rabbit worth using at the end of my hole. Comment below to be entered to win an ebook of my latest release, No Cause to Repine. Entries must be in by Sunday, June 7th. Very interesting about Lord Dundas and his properties! Love learning about history and how people are related and their back story. It’s so fascinating. I love the Robert Langdon series and well as Indiana Jones! So much adventure and conspiracy! Gotta love those rabbit holes – they often have treasure inside. For us, the ‘treasure’ would be plot bunnies! I reached a new low the other day. A textbook (ok, it’s not quite a textbook) that I read as an undergraduate and loathed about witch trials in Europe will end up useful in a new plot bunny I have. I should have looked through my entire education under the “how can I fictionalize this?” lens! As I was with last week’s posting, I am utterly fascinated with your research. I can imagine spending hours and then realize that the listing of the offspring was not chronological! Thank you for the giveaway. Lol, it’s not very impressive, really. I’m not even going to the library or traveling to a source! But I always would do things like this. I would often assign myself topics to research even in school when I had more than enough things required for me to do. That night was quite a lesson in making sure you understand how your source works. Wonderfully interesting post Rose! I wish I had more time for research, though I confess that most of the time I cannot work what I find into my story. 🙂 I usually have such far out tales that that is impossible because I ‘bend’ too many facts. It is just as easy to make up most of the facts/characters in mine. Bravo that you manage to use what you learn in yours. This probably just means I don’t have as good of an imagination. Although, some of it is because I started writing on a platform where there were quite a few people who would make comments about “well, that’s just so unlikely that xyz would happen” so I did this research and included it in notes. No, it’s not so unlikely that an earl would seduce a daughter of a marquess, that a baby may be born too close to the wedding date, that the same family would have massive debts and be nearly bankrupt and it all be the same family that was very politically active and strong and the son of said debaucher was later the richest man in England and nearly Prime Minister. So it’s just kind of my way of sticking out my tongue at people. I’m really a bit of a brat sometimes. 😉 But it’s all back story. What would make a person do these things? You’ve got great characters and I’ve always found the reasoning behind their actions perfectly adequate. Okay, so you’re telling me that my husband’s 18th great grandmother was Elizabeth Darcy (D’Arcy), daughter of a DeBurgh? Wow. I also found he is cousins with Anne Boleyn. =D Fascinating stuff I tell you. Fascinating Stephanie! That makes you Jane Austen royalty! So cool!!! And yeah, I think it’s interesting Austen didn’t make Darcy titled or mention it in his ancestry since there were several Baron D’Arcy lines that only recently died out. But then, I think she knew her readers would know that, just as she selected Fitzwilliam for a reason and de Bourgh as well! If I was to carry out your sort of research, Rose, I’m pretty sure I’d end up in a whole rabbit warren, not just down one rabbit hole. I know what I’m like when it comes to internet surfing, one thing leads to another, and another, and another……… That’s actually how I eventually discovered the online JAFF community at the beginning of last year! You must obviously be very disciplined not to get diverted down all the side tunnels in the warren. Thanks for such an informative post again. Lol! You have no idea how many tabs I usually have open when I’m researching. There’s a lot more tale to these posts but that would take too long. I have had to learn to discipline myself on researching time vs. writing time. There’s no “oh, I’m just going to pick a quick name for this peer” for me, before I know it I’ve spent 6 hours on the computer researching various things and only have 20 words written. There’s also some kind of law about the more amount of time I spend digging the less amount of time it will feature in the book. In this situation, Sir Lewis is dead in the book and Lady Catherine mentions him in thought for about two sentences. So you can see the comparison! Great post, Rose! HIstory is a fascinating subject. There’s so much to learn from the past. thanks for the fun article and the chance to win! So in top of it you also have fun doing this… And to think that I can’t write an original story to save my life! I do have fun! This is the best job I’ve ever had! My original stories scare me to death. They also have historical pieces but I worry about doing the characterizations etc. JAFF is a great safety net to explore writing. But, I’m hoping by next summer to publish one of my originals. Thank you for sharing that research can be fun and exciting! I look forward to reading No Cause to Repine. Thanks! Revisiting this research has made me want to write a story set more around the development of this kind of technology. The world was changing so much then! I can easily see how you could end up down a rabbit hole! Thanks for posting and offering the giveaway. Thanks! I always want to know more. Funny, I find it slightly annoying when my son asks “why” from dawn until dusk. Good luck! Interesting! There is always something to learn! Thank you! Yep, I’ll be learning until the day I die! Good luck! What a fun post. I love studying family history. I have been able to research my husband’s quite far back. Sometimes the same person has dates hat are a few years apart…but then other facts match so then I look to see how close the dates are on the sources as at times there are 3 or more. It is fun, but at times mindboggling. Yes, it’s difficult to get all the right dates on things, which is one reason why I prefer having more than one source on the topic at hand! Wonderful post Rose! I love the history and the way your able to weave the facts to create a wonderful story just amazes me. Looking forward to reading your book ???? So interesting! Especially the mention of Richmond in Yorkshire – my Mum comes from near there and we used to spend holidays there staying with my Gran – it is a beautiful place and so full of history! There are a number of canals round here and when I was at school (too many years ago!) we went on a boat down the Manchester ship canal to Liverpool which I really enjoyed – my one experience of cruising??? That’s really cool! I really want to visit all these places one day! Thanks for the great post, Rose! Full of interesting info and fun, fun, fun! I wish “research” was a country, as Diana said, it would have been so great to meet you there, looking for hidden treasure with a big flaming torch. Love the Indiana Jones association, BTW. Sorry, I forgot to say, please don’t enter me in the giveaway, I already have your lovely book! If we ever make that Austen commune with All.the.Darcys we need to have a massive research area too. If “research” was a country, I’m certain I would have encountered you there, having walked the very same streets and poked around in similar alleyways myself. Loved your first image, that one of you in the hat, demonstrating how one swaps out fact for fiction. You appear to have the technique down cold! Lovely post! I have No Cause To Repine and have reviewed it. A fantastic read! This blog post is an awesome one. It is close to my heart in so many ways. Whether I am readng and find a person , place or event mentioned something in my brain just asks a question On to research and find more questions, which only leads to more questions and hence more research. LOL So I take a break and get into genealogy. ( A virtual busman’s holiday). Oh yes more brick walls to a boatload of questions and more research. A never ending game.